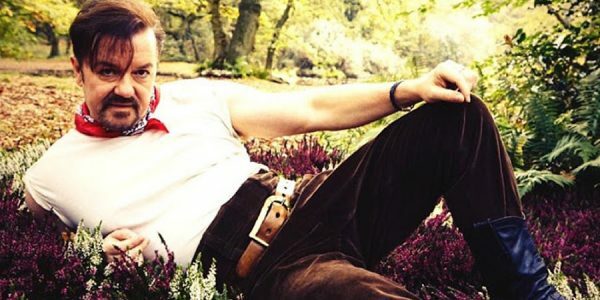 Over a decade after the conclusion of the UK version of The Office, David Brent remains a comic icon. Mining both tragedy and pathos in equal measure, as well as rolling in the awkwardness plied on with a trowel at times, Ricky Gervais' hapless and hopeless office manager returns in another road movie mockumentary outing. Now, Brent's still a rep, selling cleaning wares as well as tampons, and still harbouring a dream of making it in the rock'n'roll world. So, cashing in both his holiday and a selection of pensions, Brent pours his heart, soul and money into a tour with his band Foregone Conclusion, taking along with him some session musicians and a rapper Dom Johnson, his token black friend. Following a patented formula of sideways awkward glances at the camera and walking the line between non-PC and a few moments too late self-censoring, Gervais' Brent has not changed much. And as such the film feels like another extended episode of the sitcom that goes on a little too long and has some of the cringe factor stretched a little too thin throughout, despite the obvious pathos lurking in the wings. But mining deeper into Gervais' aspirations with Life On The Road (banal song lyrics aside, the toe tapping MOR tunes blasted out by Foregone Conclusion are annoyingly ear-worm worthy), it appears to be a portrait of mental illness and delusion writ large, with a few scenes painting a painful honesty and portrait of a sad and lonely man who just wants to be loved above all. With therapy and admissions of Profzac use, there are elements of the second series of Steve Coogan's I Am Alan Partridge here again to add the required level of tragedy to the character. It has to be said though that Gervais proves winningly adept at slipping back into the role as the very English version of This Is Spinal Tap rolls out. 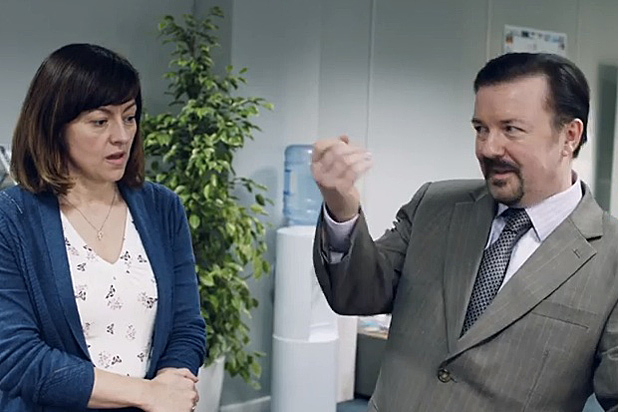 By turning the spotlight solely on himself and eschewing the rest of the Office cronies, how you feel about David Brent will largely rest on whether you can take the cringe and awkwardness of the character and humiliations visited upon him. Gervais knows what he's doing and while another director may have reined in some of the indulgences and tightened things up, fans of The Office won't be disappointed. Of the supporting characters, only Doc Brown's deadpan and would-rather-be-somewhere-else Dom Johnson is given any more depth to combat the incessant squirming but the rest get short shrift - without doubt this is Gervais' show and he's determined, like Brent, to get the most out of the spotlight. In the final act, the sentiment's piled on as the veneer cracks and David Brent: Life On The Road ramshackles disappointingly into bittersweet sentiment, a frank admission and tacit nod to the British sitcoms that at the end of the day, we all just love the losers, that we don't want to see them unhappy and that if there's hope for them, then there's sure as hell hope for us. 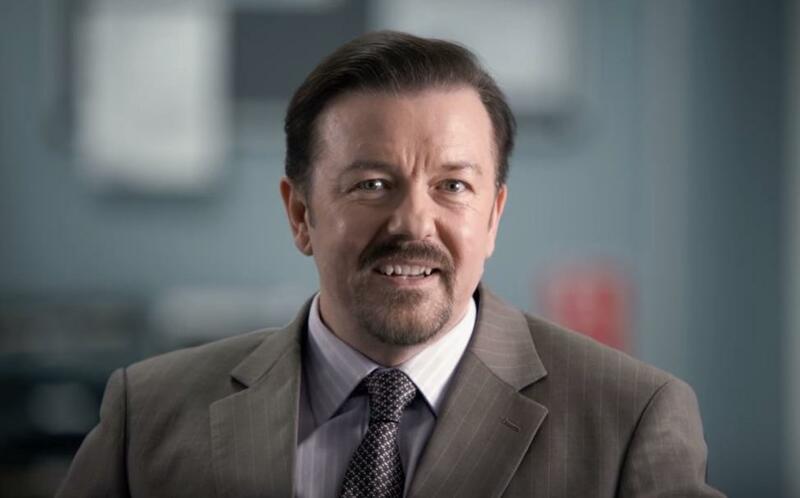 Perhaps this at times scrappy affair is Gervais' final swansong as Brent, and while the meanness of a society that welcomes and then scorns its reality stars is occasionally touched upon, David Brent: Life On The Road is not perhaps the incisive laugh riot you'd want from such a beloved comedy character. Less one louder and more muted comic fanfare of the commonly annoying man, this attempt at Brentertainment meanders where it could have been tighter and frustrates where it could have been sharper.